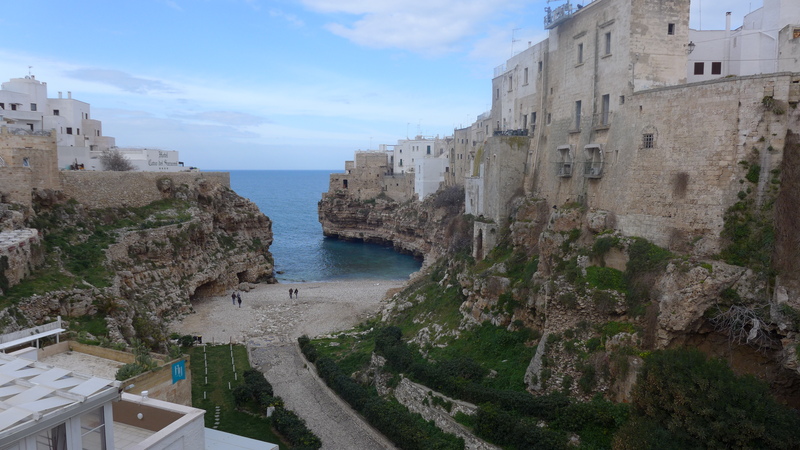 Polignano a Mare is a small seaside located on the coast of the Adriatic Sea. It is perched atop a 20 meter-high limestone cliff. The origin of the city dates back to the 4th century BC when Greek settlers founded the Neapolis. This trip was not on our GoAhead itinerary. This was a special stop that was dependent on the weather. At first the day was overcast and grey. As the day progressed, the cloud began to break up until eventually, the sky appeared. As we made our way to the town, our tour guide kept mentioning a special treat (more about this later). When we arrived, we walked a short distance and came to the most spectacularly amazing view. As we made our way through the historic center of the city, we were led to a few terrace that provided distinct views of the Adriatic and the cliffs. There was also some pretty interesting homes and architecture in the city center. In addition to this, we was able to view the platform that Red Bull uses to host their cliff diving event. As I mentioned earlier, all day our tour guide kept mentioning that if the weather permitted, we were going to get a special treat. My travel buddy kept saying, “It’s going to be gelato. I hope it’s gelato.” My response to her was, “No way! It’s not going to be gelato.” As we gathered after getting off the bus, our tour guide accidentally let the cat slip out of the bag. He mentioned that the treat was going to be gelato. My friend and I looked over at each other and we just laughed and laughed and laughed. Our tour guide had a look of confusion on his face, so we shared why we were laughing. It was a really funny moment. 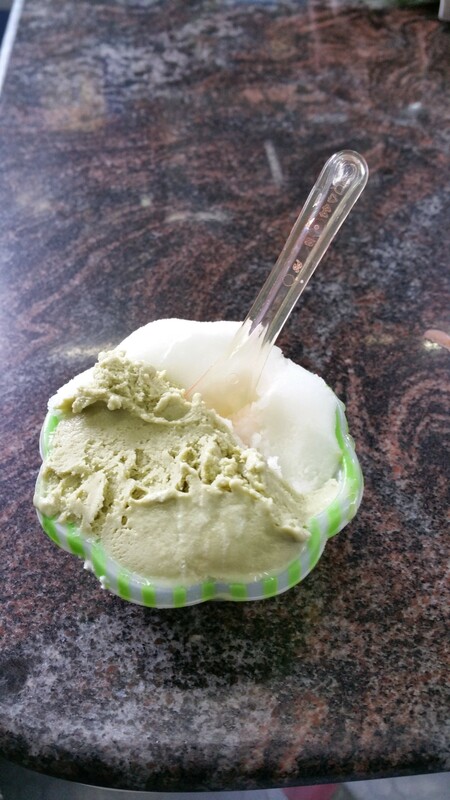 We visited the Bar Gelateria, Mario Campanella Il Super Mago Del Gelo. I got pistachio and another flavor. It was really yummy. Dinner this evening was at Myosotis restaurant, which was located in our hotel. I chose to get the orecchiette with a ragu-type sauce. My friend had the chicken with vegetables. For dessert there was a nice fruit plate. It was a great end to a fun day. Thank you. This town was absolutely gorgeous and easy to photography.